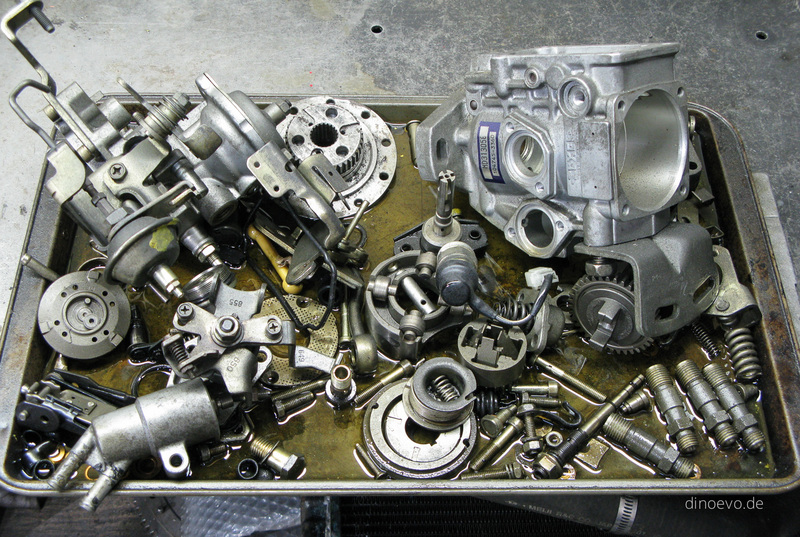 One item on our list of preventive maintenance is to rebuild the injection pump. They are prone to leak after a while due the dried out seals and of course a healthy IP is crucial for a well running van. As this is something way beyond my knowledge, I handed over DinoEvo to the pros at CVI Automotive in Richmond. These guys are the experts and it seems like they can rebuild an IP with closed eyes. After I saw it disassembled, I can not believe someone still knows how to put it back together. CVI did a great job and I highly recommend them if you have any problems or work to do on your JDM.